Hello everyone, Flor here. 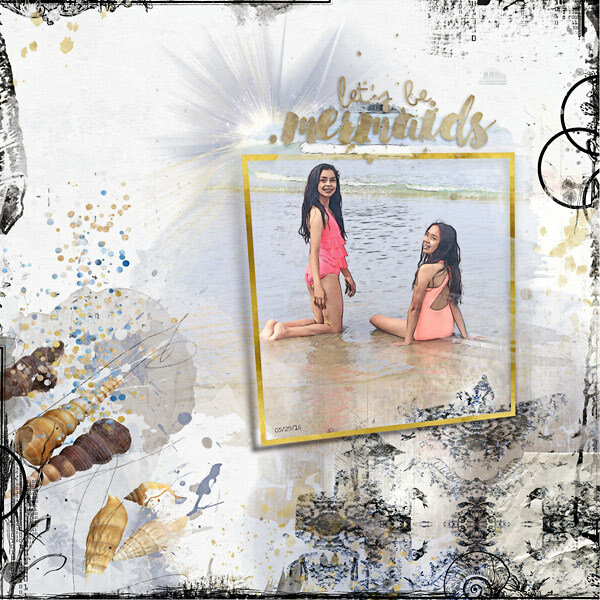 I wanted to share a layout Let’s be Mermaids with the beautiful Beyond the Sea Collection by NBK Design. That collection has everything wordart a lot brushes and grunge borders however, this time my photo was kind greyish and Nicole’s photobomb overlay fixed it exactly the way I like it with the correct warm colors… love it.